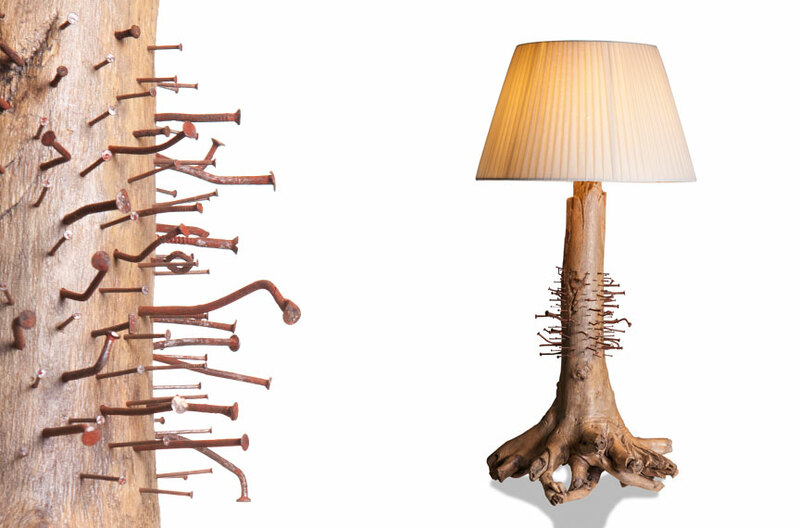 Kasti-Hell lamp is a first of a series of five lamps created using found tree trunks in the streets of south Tel Aviv. Bags of rusty nails were found in construction sites and were meticulously collected and then hammered into the beautiful tree trunk to remind us that natures beauty is always tamed and we have yet to find a proper solution to preserve earth and its resources. Collaboration with Gidi Gilam. Height 70 cm / 27.56" Width 40 cm / 15.75" Depth 40 cm / 15.75"